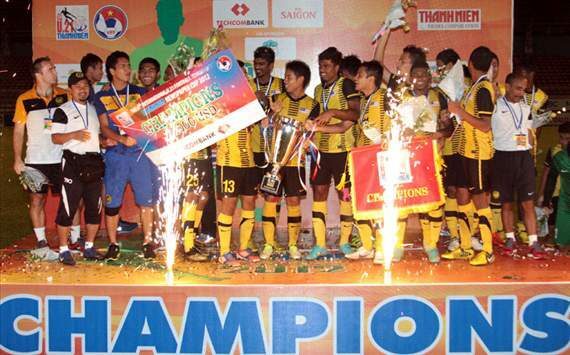 Harimau Muda U21 VFF Cup Champion – footsteps……..
Congratulation Harimau Muda U21 for beating Vietnam 1-0 to emerge as VFF Newspaper Cup Champion at Pleiku Stadium, in Gai Lai, Vietnam. The solitary goal was scored by Ahmad Hazwan Bakri. Meanwhile Goalkeeper Izham Tarmizi was chosen as Best Player in the Finals.